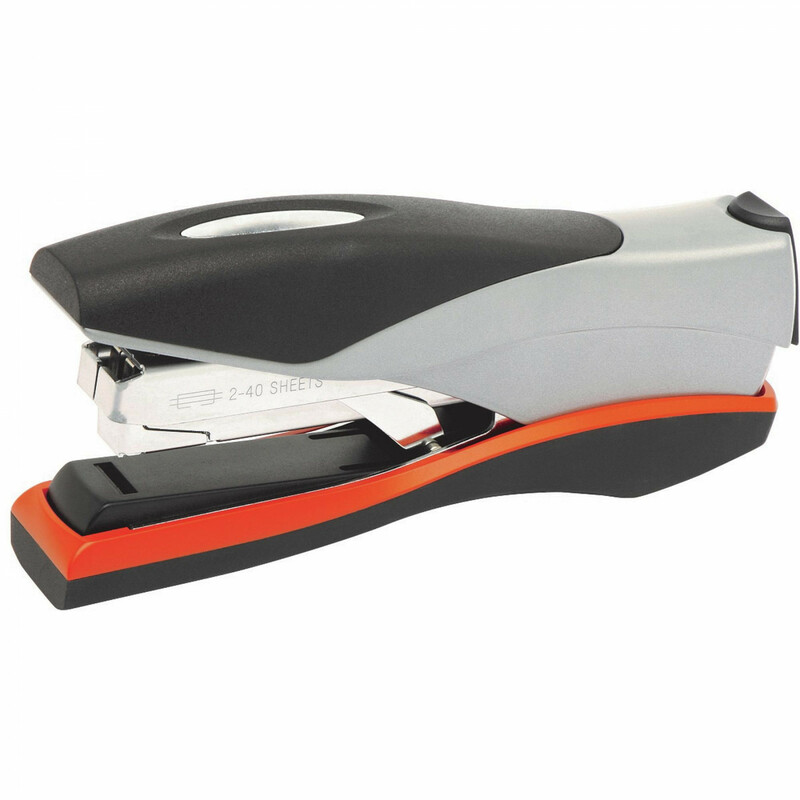 High performance 40 sheet capacity stapler. 50% less force than standard Rexel® desk staplers. Jam free guarantee when using Rexel® Optima® 56 Premium staples. Space efficient flat clinch stapling. Top loading for fast staple refill. Compact design for comfortable use in your hand. Use Rexel® Optima® 56 Staples.